Backup your files first! DOCUMENTS & LIBRARY FOLDERS!. * Open the game till you reach the menu, then close it from the multitask. 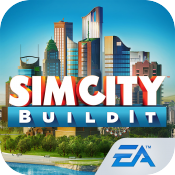 * Put the Downloaded folders in :「User Applications/SimCity /」 using (iFile,iFunBox...) or other apps.